The Aloe Care Natural Touch is a revolutionary new mattress with aloe vera embedded in the fabric to help improve your health while you sleep. 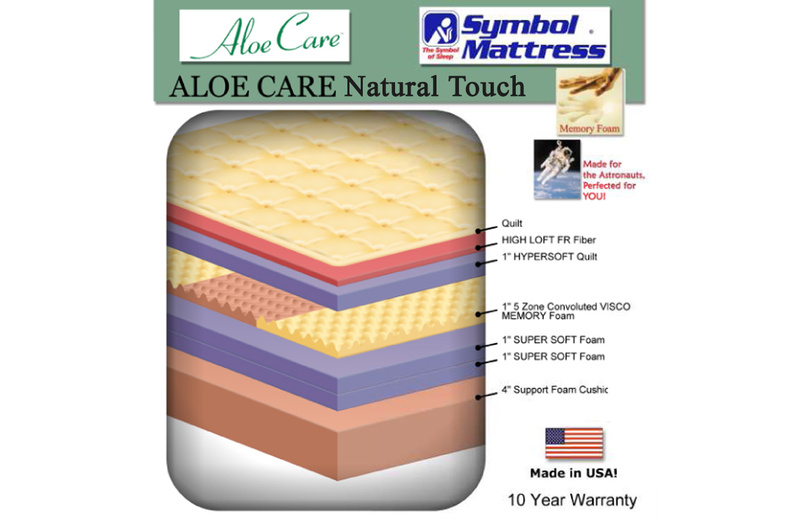 The aloe care mattress is definitely a top-of-the-line premium mattress. It is made of all organic hypoallergenic materials to avoid allergy problems and the cover is embedded with aloe vera - the same alo vera that is found in skin creams to increase softness and decrease wrinkles. The mattress feels so great that it is tempting to not cover it with a sheet! But, you still should, and the aloe will still absorb through the bedding to help improve your health as you sleep.